Choosing the right dog food for your furry friend is an important part of dog ownership. It needs to be chock full of nutrition and protein to keep them happy and healthy for years to come. While most owners take time and consideration with choosing food, most overlook the dreaded expiration date. All dog foods, whether it's canned or dry kibble, contain an expiration or "best by" date. 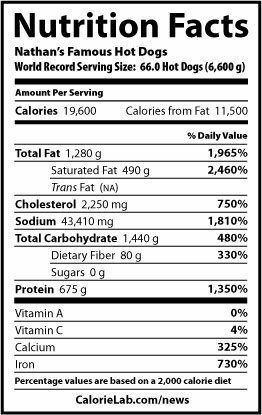 Much like human food, this information can provide valuable knowledge about the longevity of the product. If you inadvertently buy expired dog food, is it safe for your pooch? Can Dogs Eat Expired Food? 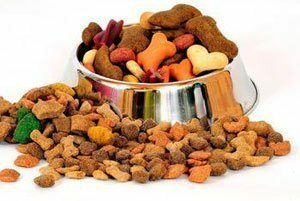 Dog food that is past its prime is typically safe to eat, especially if it's been in an airtight container. However, it's not recommended. Dog food is a unique product that goes through a distinct manufacturing process. These foods are treated for longevity and effectiveness. A number of different ingredients are packed into a nutrient-dense formula to ensure that dogs can thrive on the food throughout their lives. While manufacturers include preservatives to prevent the growth of bacteria and mold, these ingredients degrade over time. Not only that but the food changes as it ages. These changes can't be seen, but your pooch may start to feel the effects of the change depending on how old the food is. Food that's only a few months past the expiration is generally safe for dogs. While you may not touch a piece of expired food a day after it has expired, dogs can handle a lot more than humans can in terms of food and digestion. However, before feeding the dog this food, check it for mold and bacteria. Mold will typically grow on the top layer of the food and produce a foul smell that's beyond the typical stench of dog food. If it's free of these issues, let your dog gobble it up. With that being said, feeding your dog expired food does have some trade-offs. Furthermore, the older the food, the more potential health risks. Contrary to popular belief, it's not illegal for stores to sell expired food. While this may not seem right, it's perfectly legal. This is because of how the manufacturer labels their food. Dog foods are accompanied by a "best by" date rather than a hard expired date that human food has. This doesn't necessarily mean the food is bad. It simply means that the food doesn't exhibit the same nutritional value that the packaging says. It's a strange loophole that stores can get away with. Because it's technically not bad, stores can sell food that's years past its prime. Furthermore, manufacturers don't really inform customers about when the food was made. This packaged date is simply its shelf life. It's a date that the manufacturer has determined the food will lose nutritional value after leaving the factory. 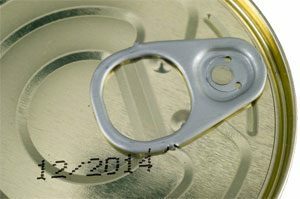 Dry food has usually a "best by" date that ranges from 4 months to 3 years while canned food has a shelf life of up to 5 years. Unfortunately, this date doesn't tell you when the food was made or how old it is. What Happens to Food Past Its Shelf Life? As mentioned earlier, dog food goes through a significant change as it ages. These changes only worsen the older it gets. These changes can cause some issues that can affect the dog in terms of energy levels and health. Depending on the specific formula used, dog food will begin to lose it's nutritional value once it's surpassed it's shelf life. Vitamins and nutrients will begin to fade and the food's promised benefits will diminish. The kibble will still retain some nutritional value, but it will be far inferior to when it was freshly made. In fact, if the food has a natural preservative, the nutritional value will decrease the moment it leaves the factory. But what does this mean for your dog? Dogs rely on their food to get all the nutrition they need. Many owners choose food based on the benefits it can bring to their dog. When you feed your dog expired food, you're depriving them of all the essentials they need to thrive. While you may be feeding the same amount, it's just empty calories. Owners will have to offset this deficit with supplements. 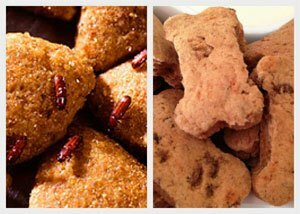 Fat is an integral part of dog food and is often the first to go sour. Fat helps to provide energy and flavor to the food. When it goes rancid, you'll be able to tell. It creates a strong foul smell that will make you take notice. Dogs, on the other hand, are pretty much immune to that smell and will eat it up regardless of how bad it is. This will only lead to ﻿﻿﻿﻿﻿﻿digestion issue﻿﻿s. It's the owner's responsibility to check for rancid fat in the food and dispose of it immediately. This isn't really a problem with food that's stored in aluminum cans. Most owners may even think that it's not a problem with bagged food. Unfortunately, many kibble bags are permeable. Tiny microscopic holes will allow air and moisture to enter the bag. Over time, the food will absorb this moisture and attract pests. Bugs can burrow their way through the bag and infest the food, leaving behind some unfavorable material. This contaminated food can lead to a host of issues in the dog if ingested. The preservatives used to keep food fresh will degrade over time. As the food expires, these preservatives will get to a point where they don't do anything at all. At this point, mold and bacteria will begin to form. This is only accelerated if the food is kept in a hot and moist place. Bacteria will multiply and mold spores will begin to form. Mold can be detrimental to a dog's health. Not only that but mold can release into the air and cause harm to anyone living in the home. This includes both humans and dogs. Expired food can lead to a ﻿number of different health risks, both minor and serious. One of the first problems your dog will face is digestion issues. This usually occurs because of spoiled ingredients within the food. Dogs can face indigestion, diarrhea, and vomiting. Symptoms can last for a few days, so it's important to stop feeding them the expired food immediately and seek veterinarian assistance. Another common problem is malnutrition. As the food deteriorates and loses nutritional value, they won't be receiving their daily requirements. The worst part is that this issue isn't immediately noticeable. Dogs may begin to show signs of lethargy or weight loss. Energy levels will also go down. If continued, this issue will result in organ and bone issues. Food that's been contaminated with mold and bacteria can also lead to serious foodborne illnesses. These include Salmonella, E. Coli, Botulism, and much more. Once ingested, the bacteria in the food will spread through the blood stream, resulting in significant issues. If left untreated, dogs can face life-altering problems and even death. If you already have expired dog food, your dog will likely be fine as long as it's not more than a couple month past its prime. Give it a smell and make sure that there's no mold. To make sure that the food is still good, you can always contact the manufacturer directly and see what the shelf life of their product is. Food that's only a few months old usually won't have significant issues. With that being said, it's best to avoid expired foods when shopping. Take a look at the "best by" date. Make sure that your dog has enough time to eat the food before it goes bad. As a rule of thumb, purchase enough food to last through the month. By checking the packaged date, you can ensure that your furry friend always has a bowl of fresh and nutritious kibble. ​What is the Best Dog Food for German Shepherds?